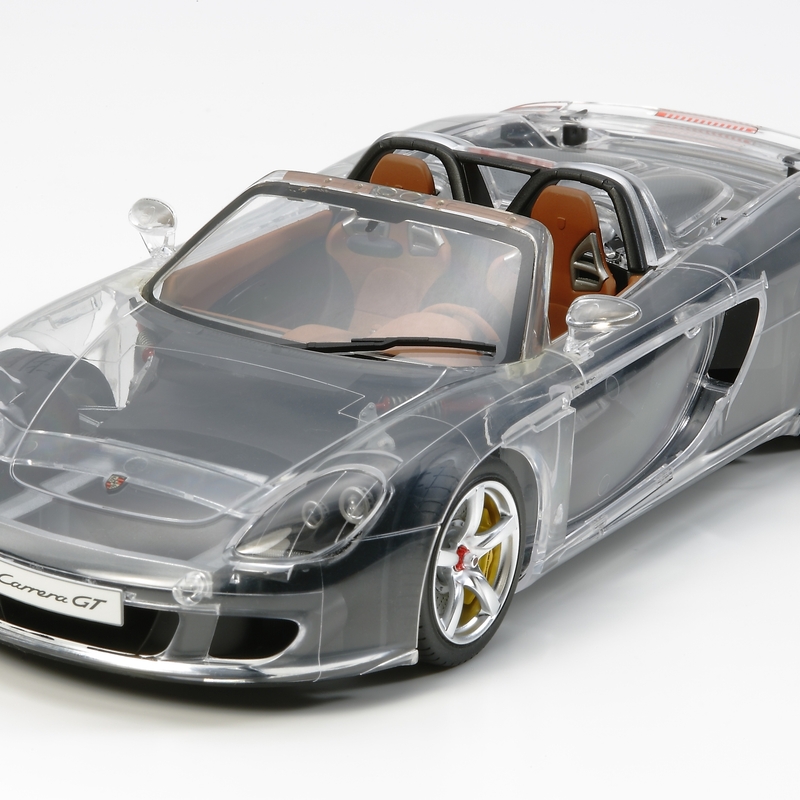 The Porsche Carrera GT is now available as a "Full-View" model complete with clear plastic parts to enable appreciation of the inner workings of the car. The super sports car features a V10 engine which delivers a maximum 8,400 rpm, providing a whopping 605hp and propelling the Carrera to a maximum speed of 330km/ h. Weighing just 205kg, the engine is mounted in the middle of the carbon fiber chassis for optimum weight distribution and a lower center of gravity. The car's two-piece detachable hardtop can be removed to allow open top style, while rear sports wing provides down-force. Special Feature 1 Length: 193mm. 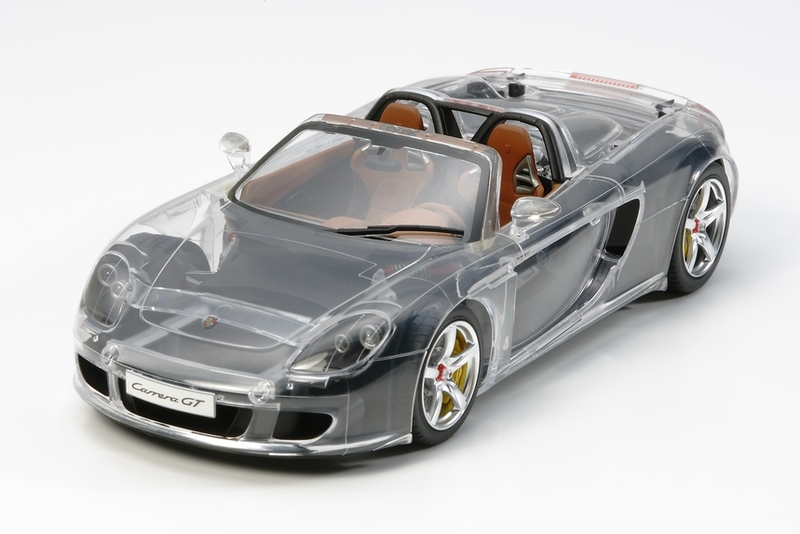 Special Feature 2 Transparent body parts allow full view of 5.6 liter engine and carbon composite frame. Special Feature 3 Roof parts are detachable. Special Feature 4 Engine hood part is openable. Special Feature 5 Wheels and exhausts are depicted with metal-plated parts. Special Feature 6 Rear spoiler can be depicted in either retracted or deployed position. Special Feature 7 Porsche emblem and side mirror surfaces are depicted with metal transfers.